Renewable energy is energy from any source that is naturally replenished or replaced, once it is used. Phrases include; 'renewables', 'green energy', 'microgeneration' or 'sustainable energy' are often used. The areas covered include; sunlight energy, heat from air, water or earth, but also plants that are grown for fuel - where you will hear the phrases ‘biomass’ and ‘biofuels’. ‘Hydro’ and ‘wind’ relate to the movement of water and power that is created from those elements. 1 Wind Turbines: Mini versions of the gigantic landscape additions, can harness the power of the wind to generate electricity. 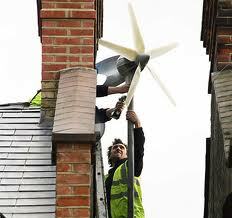 Domestic turbines can be pole or building mounted. Feed in Tariffs apply. 2 Solar Photovoltaic Panels: Solar PV cells capture the sun’s energy to generate electricity. The semi-conducting silicon material creates an electric field across the panel. The more panels the more energy. Solar tiles are a more expensive but less intrusive and a more attractive option. Grants and Feed in Tariffs apply. There are companies that will provide a free system in return for the unused heating cost benefits, but ensure you research the subject matter fully before considering this option. 3 Solar Water Heating Systems: Working on the same principle as the electricity panels, the two types of panels are Evacuated Tubes and Flat Plate Collectors. Grants for the installation of a system may be available through the Renewable Heat Premium Payment scheme and payments for the additional heat you generate may be received through the Renewable Heat Incentive, although it should be noted that savings are not significant, and whilst they can provide most of your hot water in the summer they are not as successful in the cold winter months. 4 Biomass Systems: Wood, logs, and pellets, are burned by stoves or boiler systems to create central heating. Wood fuelled heating is a traditional system that can often add a feature to a home and there is plenty of information about different designs and systems available. The Renewable Heat Incentive applies. 5 Hydroelectricity: You will need a river or stream for this particular energy system. Hydro power is generated by converting kinetic energy in a turbine which in turn drives a generator. You may not get planning permission for a giant water mill in the back garden, but the larger the better. The Feed in Tariff applies, although prohibitive installation costs make it a long term financial savings solution. 6 Air Source Heat Pumps: As the description suggests, these are heat pumps that draw energy from the air to heat water and radiators. The air is absorbed at a low temperature and converted to a fluid which passes through a compressor before the temperature is increased before it is then circulated around the home. Grants are available and long term savings can be made. 7 Ground Source Heat Pumps: While Air Source Heat Pumps can be located on a wall outside the home, a Ground Source Heat Pump will require some excavation, as they are buried in the ground. A mixture of water and antifreeze is circulated around a ground loop of pipe. This is absorbed into a fluid before going through a heat exchanger into a heat pump. Grants are available and long term savings can be made. 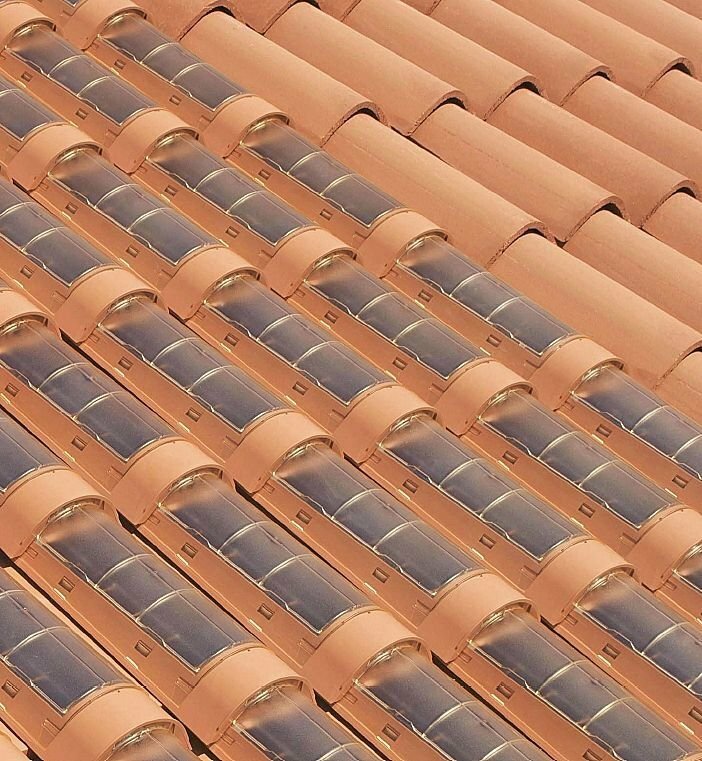 A recent addition to the Solar Photovoltaic roofing range of products are tiles that look like tiles! The short answer would be to stay in your home for a good few years. It appears that both the Conservative and Labour parties will express a commitment to Green and Renewable Energies by leaving room for energy companies to continue to increase home costs above the rate of inflation. The incentives and grants will come and go, but the key is long term investment. All options will require a significant installation investment, but all will save on running costs over time. As long as fifteen years in some cases.